It’s the most wonderful time of the year, when Guinness suppliers cancel all employees’ annual leave, when dreary Saturdays are spent inside warm pubs, when Welshmen of all ages warm up the tonsils and when Landsdowne Road respects the kicker. The Six Nations never fails to stir the passions, rivalries and clichés about the opposing team. From the intra-Celtic derbies to Le Crunch between France and England, the genius of the tournament lies in its simplicity; if you slip up you’re screwed, ensuring there are no easy matches – except Italy. The 2019 edition has been the most hyped Six Nations in years, not only due to the latent World Cup implications but because of the sheer quality and form of the teams. Ireland, Wales, England and Scotland all have serious claims to the throne – and as contractually obliged to mention, you never know which French team will show up. There is a sense of destiny about Irish rugby at present that has the hallmarks of the legendary 2000-2003 England team. With last year’s Grand Slam and the Australian series win, the legendary victory over the All Blacks in Dublin provided the perfect springboard to tackle this most momentous of years – creating expectations hitherto unseen on the Emerald Isle. Joe Schmidt, Johnny Sexton, Conor Murray, Rory Best, Sean O’Brien and company have scaled almost all the summits in rugby this past ten years and yet the words quarter-final haunt Irish rugby most. Another Six Nations title and this gorilla on their back can be approached with confidence. If not for Ireland’s phenomenal success last year, Wales’ form would make them outright favourites. However, their nine-match winning streak has managed to sneak relatively under the radar as Warren Gatland has quietly been building squad depth over the past year to prepare for the demands of a World Cup year. Wales versus England in Cardiff is always one of the highlights of the rugby calendar, with the partisan Welsh crowd at their most tuneful and passionate. It will take a lot to top their classic 2017 encounter under the roof. This is Gatland’s last Six Nations before stepping down as Welsh coach. The wily operator will be desperate for one more title. The rise of Scotland over the past few years has been a slow-burn tale of gradual improvement, borne out of the grief and frustration of their 2015 World Cup quarter-final exit (and it is still the loudest sporting event I have ever been to). The likes of Finn Russell, whose outlandish and brilliant pass to Huw Jones against England last year achieved Scottish sporting immortality, veteran Greg Laidlaw and the utterly thrilling Stuart Hogg have the tools and the belief, if not the consistency (especially away from Murrayfield), to finally win a title this century. Where to begin with England? 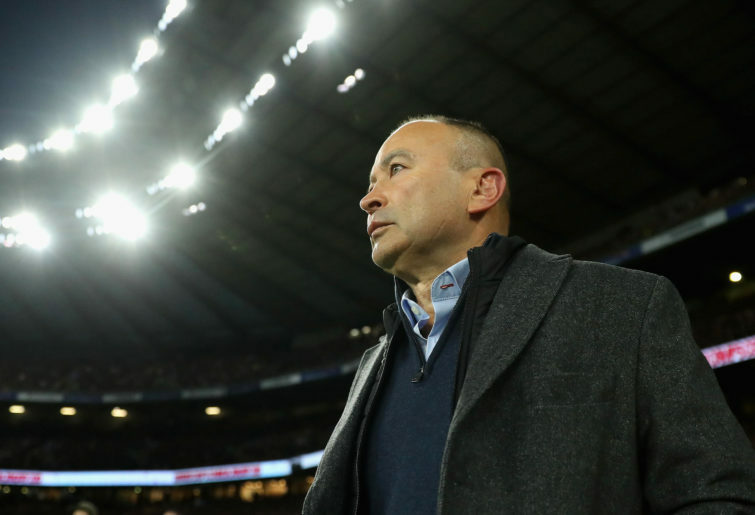 Down in South Africa last year, it appeared that Eddie Jones was treading the well-worn path of his football doppelganger, Jose Mourinho, in rapidly outstaying his welcome in the third year. Despite this, England hauled themselves up off the canvas, won the third Test and performed very well, if not at 2016 levels, in a close loss to the All Blacks and an inevitable shellacking of Australia in the Autumn Tests. Questions about Jones’ training methods persist, and his best starting 15 is still as much of a mystery as it was this time last year, with the likes of Henry Slade and Chris Ashton coming in from the cold recently. There’s nothing like a World Cup year to sharpen minds, however, and in the likes of Owen Farrell, Maro Itoje and Elliott Daly there is more than enough x-factor to blow away any opposition. France’s November form saw them lose to Fiji by less than they deserved, an easy victory over Argentina and a close loss to South Africa. In other words, an absolute mixed bag with no rhyme or reason – and as long as the clubs hold all the power in France, with the resultant absurdity of French players playing for their clubs during the Six Nations fallow weeks, this will probably continue. As for Italy, I like Conor O’Shea and love Sergio Parisse, but they haven’t offered anything since the hilarity of the no-rucks Twickenham game two years ago. I fear another listless year but the much-improved form of their two professional clubs, Zebre and Benetton, provides an ever-so-slight glimmer of hope. So there you have it, my ramshackle guide to a tournament. I absolutely adore it which makes me temporarily forget some of the ghastly decisions and desires of much of modern rugby.